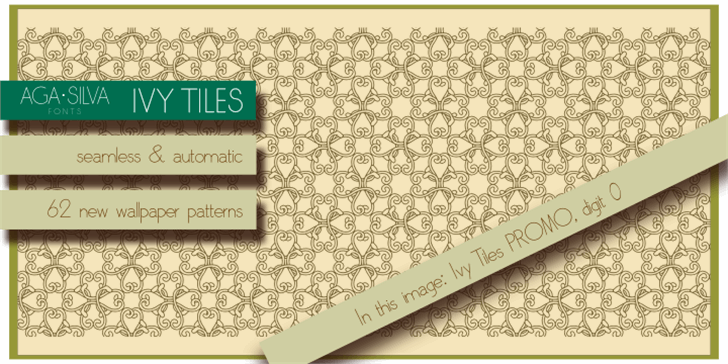 Visit me at Etsy: http://etsy.me/LkoRnD or at Myfonts: http://myfonts.us/yR0Xow to purchase the font/obtain comercial license for using these patterns. 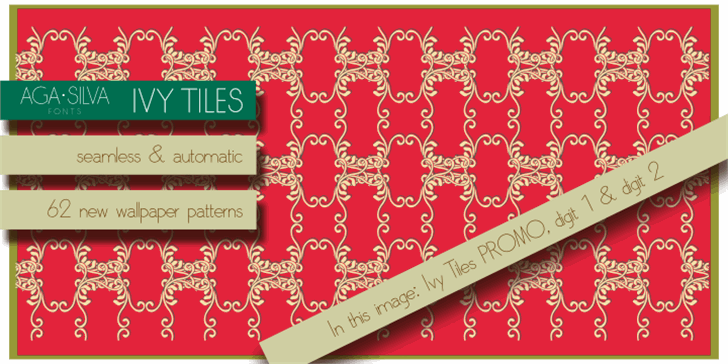 Follow me on Twitter https://twitter.com/agasilvafonts @AgaSilvaFonts or Facebook https://www.facebook.com/agasilvafonts to be updated on latest releases, sale offers and more. 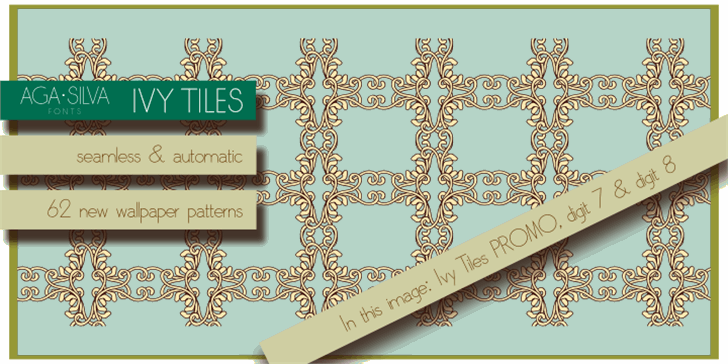 Ivy Tiles PROMO is a Trademark of AgaSilva.